As a former Fitness Lecturer and mother of 2 daughters, Sandy has always had an interest in and understanding of the importance of healthy eating and the activity of children. With obesity on the rise (leading to health risks for the children of our future), the need to re-educate children, teachers and parents has never been greater. Our specialist workshops for schools incorporate a wide range of topics across the curriculum, including current trends and new initiatives. An interactive making and tasting juice session. We will make a green juice and a natural protein chocolate shake full of fresh, organic and delicious ingredients. Interactive and hands-on, children will select a variety of fruit and create their own tasty juices. Health benefits will be explained and a recipe card given. Nutritional values and wellbeing benefits of juicing explained. Opportunity to make and taste fresh juice and chocolate smoothie. Recipe card handout so they can be made at home. Learn how to make alternative sweet treats. A fun, hands-on, raw cookery session making treats that boost energy and aid concentration. 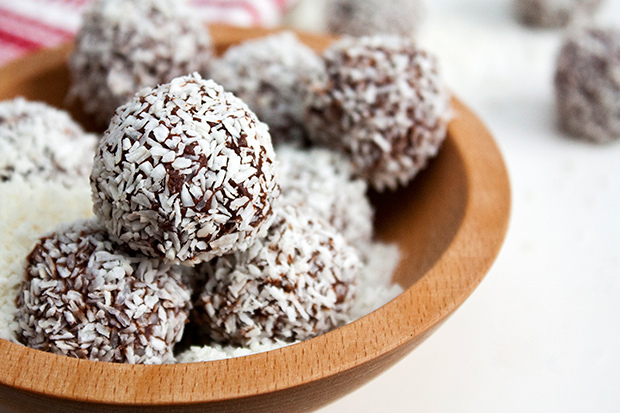 Together we will make Cacao & Coconut energy balls and Chia Seed power balls. In this hands-on cookery class, children will make their own natural, delicious treats to taste and take away. Education about healthy alternatives to biscuits and sweets. Explanation and understanding of unhealthy sweet treats. Energy balls to take away and recipe card to make at home. Learn better body alignment and posture principles. Exercise and stretch in this fun class. Learn body alignment and posture principles. Participate in a fun, child-friendly Pilates session with a focus on flexibility and posture. Explanation of the benefits of Pilates from a young age. Increase in flexibility and balance. To provide knowledge and develop skills. To provide resources for every course delivered. To cater for different learning needs and styles. To provide fun, interactive and hands-on opportunities to enhance learning. As teachers and practitioners ourselves, we are sensitive to individuals' specific needs and have extensive experience in providing relevant and stimulating activities. Adaptability, flexibility, patience, understanding and communication are all key elements of our work and our skills allow us to adapt to many different situations. Our services can be tailored to meet your needs and requirements – whether you are looking for one session for a single class or a whole day/week event. Sessions can be delivered as workshops throughout the school day, after school clubs, through staff training or as parent and child workshops. We can also deliver, yoga, rest & relaxation, wellbeing & mindfulness and healthy eating plate workshops.